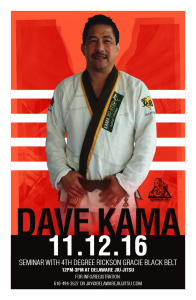 Professor Dave Kama returns again to Delaware Jiujitsu for another epic seminar on November 12th, 2016. 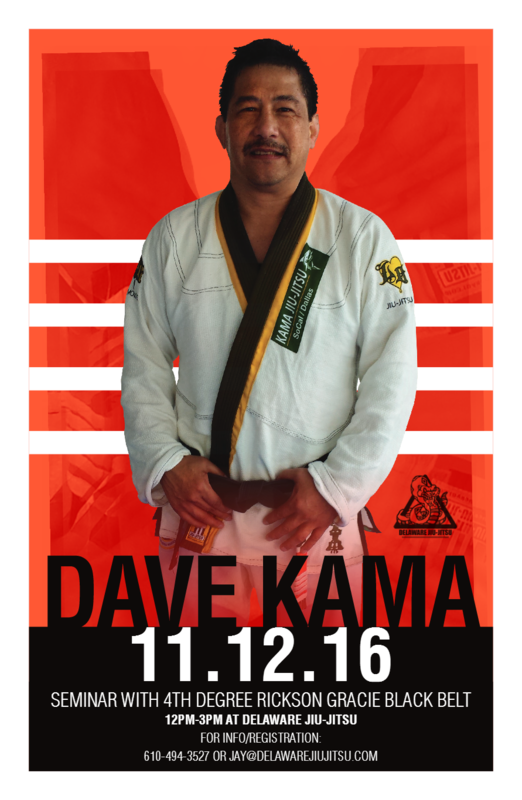 Professor Dave has trained with Master Rickson Gracie for over 30 years and continues to train with him, having learned not only Master Rickson’s earliest innovations but the most current concepts as well. Don’t miss your chance to train with one of the first 12 non-Brazilians to become a black belt, and Master Rickson’s best student!